After having to go through all of 2014 without a Pixar movie, we're getting two of them next year. The first of the two, Inside Out released a trailer earlier this year. Check it out below. 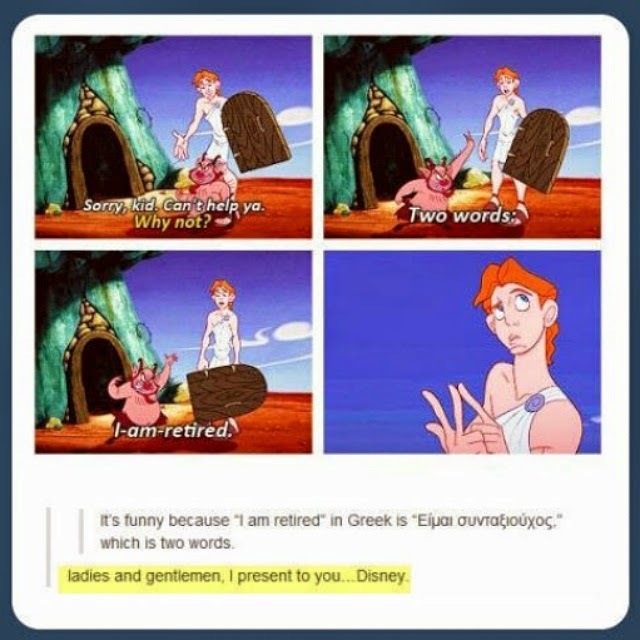 Tumblr figures out a inside joke (maybe intentional, maybe not) in Hercules that took years to find. The film was previously thought to have been lost with only around 25 seconds remaining. This find marks the second time lost footage of an Oswald cartoon has been found in recent years after a reel containing the Oswald cartoon Hungry Hobos was found in the U.K. back in 2011. The footage has been digitized and sent to The Wat Disney Company. And finally, enjoy this video of a small girl putting Gaston in his place during a signing and photo session at the Disney Parks. Disney Magic #67: Christmas of...Enchantment?